Home / A real holiday! As a hint of the shape of things to come in the 1930s – i.e. 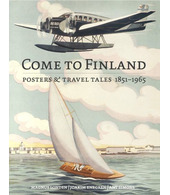 Finland as the ultimate travel destination – The Finland Steamship Company’s (FÅA) representation in England, John Good & Sons tried to keep up the promotional pressure with the charming Off the beaten track series. 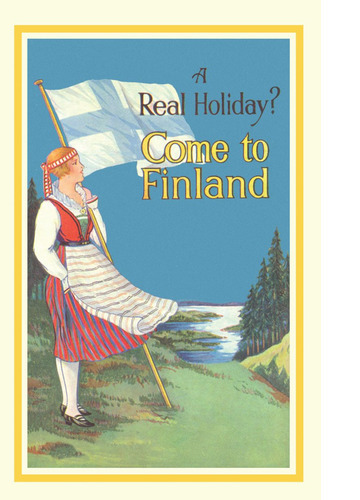 … You ask ’Then why has this wonderful holiday land of Finland remained so long undiscovered?’ – and the reason, briefly, is this: Up to 1918, when she regained her independence, Finland was the subject of greater powers, and the advance of civilization was retarded. Thus we find, in the middle of an age of bustle and confusion, this delightful country, unspoilt by large cities and factories, left, as it were, as a playground, where we can once again experience the joys of a perfect holiday. 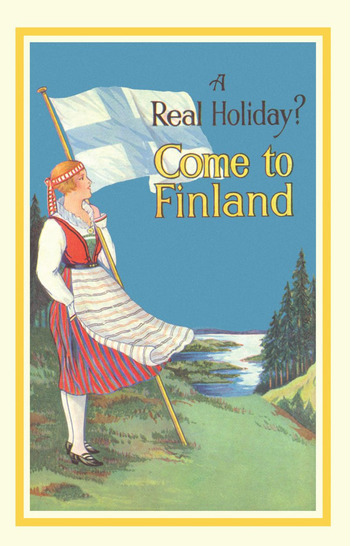 But tourists are rapidly discovering the delights of Finland. The number of visitors is increasing every year. So come to Finland NOW, before the charm and freshness is spoilt. Why not come this year?